Midge showing plumose antennae characteristic of the male. 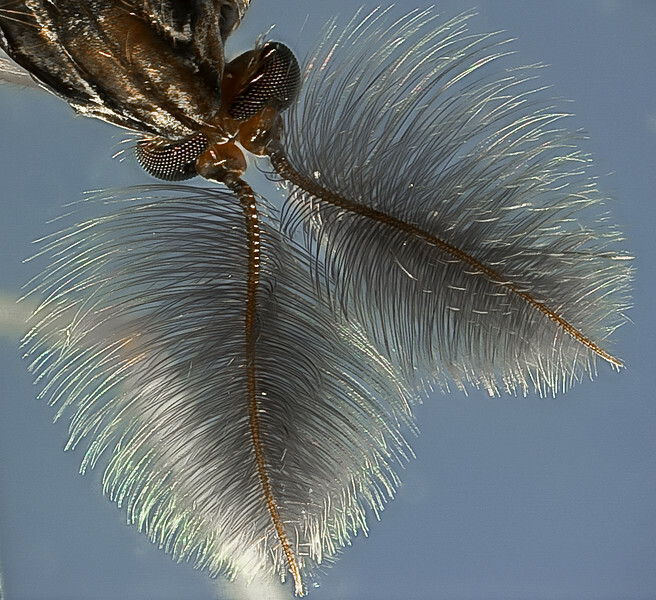 The feathery antennae provide a tremendous surface area for sensors that are able to detect minute amounts of chemicals produced by the females. Apparently there also are sensors that can detect vibrations in the air produced from wing movements of the female. Both are critical to finding a mating partner. This specimen is about 7 mm long. Midges resemble mosquitoes but do not bite. Midge larvae are similar to mosquito larvae and form an important part of the aquatic food chain.